Which hot hatch should you choose? If you’re a keen driver looking for your next hot hatchback, there’s quite a list of cars to pick from. 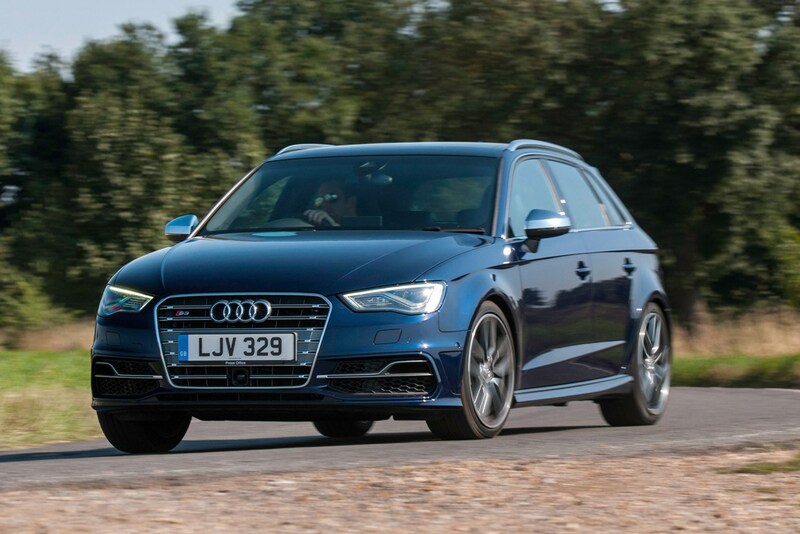 To help you decide which one is right for you, we’ve chosen six top-rated performance hatchbacks which cost less than £32,000 to buy and will sprint from 0-62mph in under six seconds. Which is the best hot hatch? Don’t forget to check out our Cars for Sale section for the latest deals on new and used cars. And when you come to sell your current car, make sure you get a free car valuation with us to ensure you get the right price. Make sure you visit our finance section for a quote - we work with over 20 lenders to give our customers access to more than 100 different lending options. 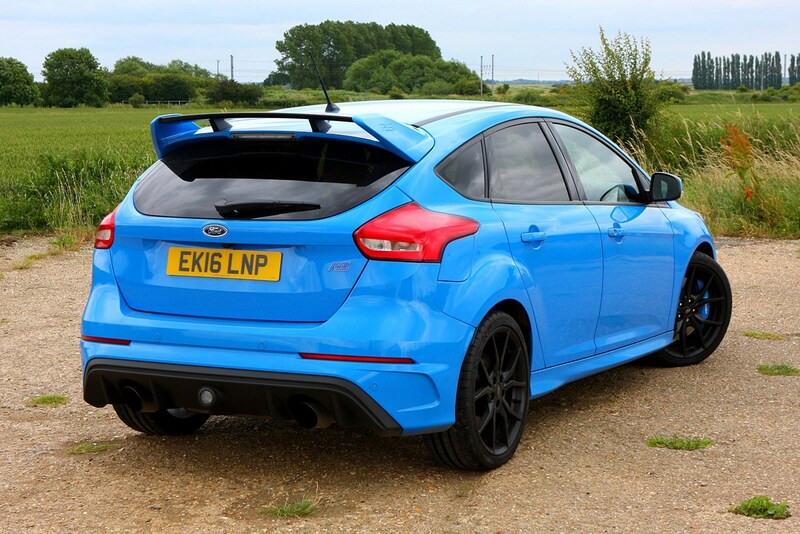 Ferocious straight-line speed and superb handling make the Ford Focus RS one of the best hot hatches around. And that 0-62mph time of just 4.7 seconds means it's the quickest in our list too. Under the bonnet is the same 2.3-litre engine found in the new Mustang while the all-wheel drive system makes ‘drift mode’ possible for even greater fun in the corners. Considering the bonkers headline figures on offer, the price tag of £31,680 seems equally astonishing. On the road the BMW M135i proves why it’s one of the best hot hatches around, thanks to its 3-litre turbocharged six-cylinder engine achieving 0-62mph in just 4.9 seconds, while the rear-wheel drive and sharp handling offer one of the most rewarding drives in the segment. 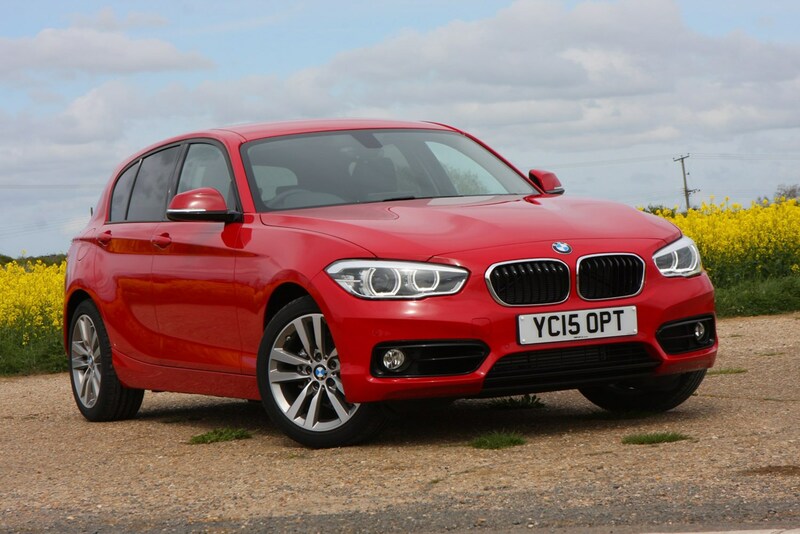 Revised in 2015 with subtle design touches, the M135i was also given more power and enhanced standard kit. 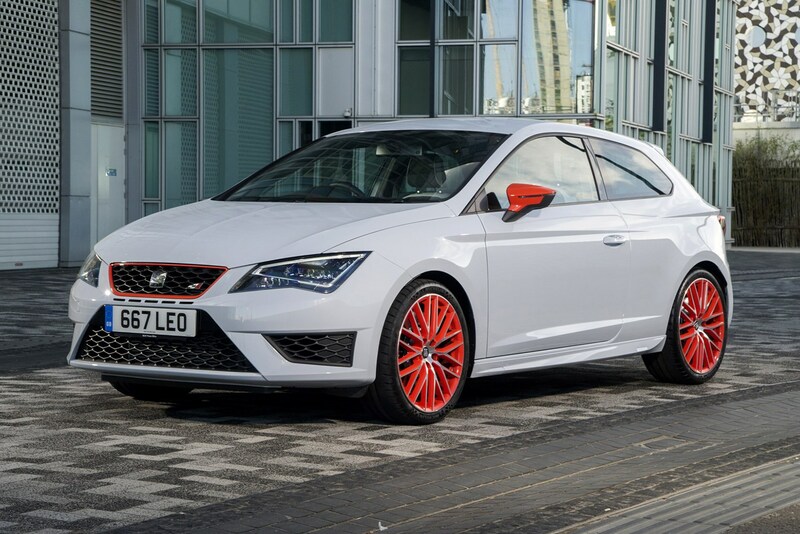 Sharing many of its underpinnings with the Volkswagen Golf R and Audi S3, the SEAT Leon Cupra is also the cheapest of the trio. Fitted under the bonnet is a 2-litre turbocharged petrol engine which, late in 2015, was upgraded to offer a touch more power at 286bhp and a greater spread of torque. Impressively nimble in the corners and fast in a straight line, the Cupra 290 is also one of the most stylish-looking hot hatchbacks you can buy. 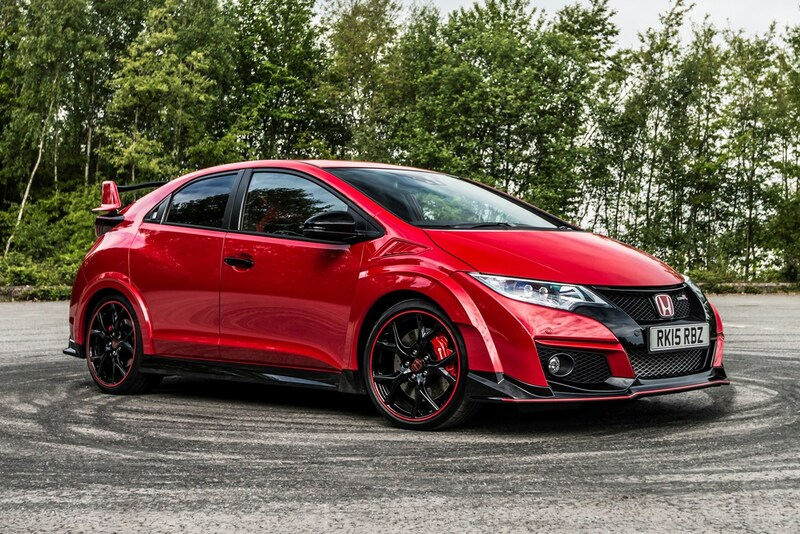 It was one of the most hotly anticipated cars of 2015 and the new Honda Civic Type R continues to divide opinion when it comes to those eye-catching looks. Under the bonnet is a 2-litre, four-cylinder petrol which uses a turbo to produce 306bhp and 400Nm of torque. The end result? A car which can sprint from 0-62mph in just 5.7 seconds. It’s not just pace which the Type R has on its side either, sharp handling and excellently-weighted steering make it great fun to drive. If you’re in the market for a sporty car that can be used in all conditions, the Audi S3 is a stellar bet. Thanks to Quattro four-wheel drive it’ll work well even in rain or snow, while its 2-litre engine provides loads of power and you also get that famous Audi build quality as standard. Design cues may be very subtle over the standard A3 Sportback, but the S3’s sharp handling and enormous amount of grip make it great fun to drive. 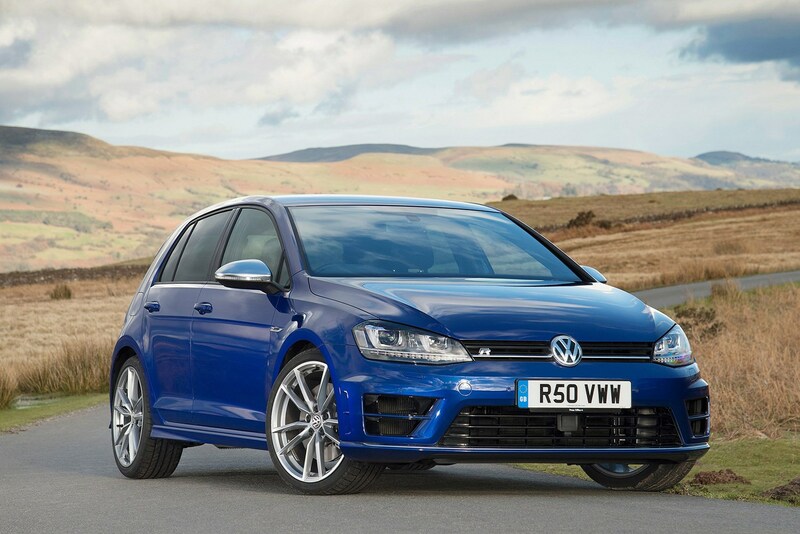 Its versatility is one of the Volkswagen Golf R’s strongest suits, proving comfortable on the motorway yet rewarding in the corners and serious quick on a straight bit of road. The 2.0-litre turbocharged petrol engine is the same as found in the Golf GTI, but VW’s engineers have reworked it up to 296bhp and torque of 380Nm which enables a super-quick 0-62mph time of below five seconds. Looking for a fast car that's also economical?